Let’s face facts - gardening can be hard work whether you’re an enthusiastic novice or an experienced professional. It can also place significant demands on your garden tool accessories, so you’ll need to take proactive steps to maintain their performance over time. 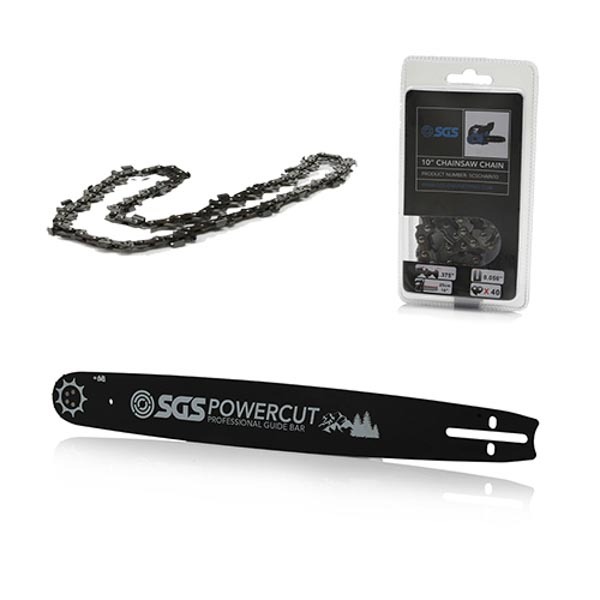 At SGS, we have a huge range of accessories and replaceable parts that will help you to get the most from your garden tools. From chainsaw parts and oil to strimmer spares, we’ll replace tired or worn out components so that you can maintain the same high standard of workmanship. We only sell the highest quality garden tools at SGS, whether they’ve been designed by a brand that we trust or our in-house team. These tools need regular care and maintenance if they’re to achieve optimal performance, particularly when working in fluctuating temperatures or high levels of garden overgrowth. This is where our diverse range of garden accessories comes into play, as we’ll provide the parts that you need to keep your tools functioning. Whether you need some more chainsaw oil, a nylon bump spool or a new spark plug for your strimmer, we’ve got you covered as you attempt to get your garden into tip-top shape. Our range can also provide spares as well as replacement parts, from backup chains to three-tooth brush cutter blades. This means that you have a wide range of components at hand when working on a garden, whether it’s your own or belongs to a trusting client. If you know exactly what chainsaw part or garden tool accessory you need, you can browse our website at your leisure and choose from our huge range of options. No matter how big or small the task in hand, we’re confident you’ll find everything that you need with SGS. Even if you’re a gardening novice who doesn’t quite know where to start (or are simply unsure whether we have the right accessories for your gardening tools), you can speak to one of our helpful team before you make a purchase. Whether you want a particular size chainsaw bar or one of our many strimmer accessories, our technicians will guide you through the relevant information and help you to make a truly informed choice. This way, you can shop freely through our website safe in the knowledge that we’ll deliver excellent value for your money.